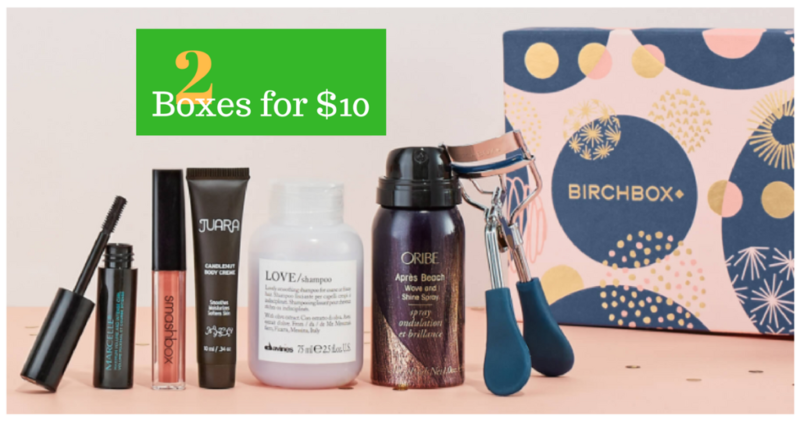 Birchbox is offering new subscribers a FREE Birchbox Beauty Sample Box with the purchase of a woman’s subscription. That means you get two sample boxes for just $10 shipped – just $5 per box! Use code DOUBLEFUN at checkout to redeem this offer. If you have never heard about Birchbox, it’s a company that sends personalized beauty products to subscribers every month. You get to try all types of products (from haircare to skincare to makeup), and they include information on the products and how to use them. Your extra box will be included with your first December Birchbox shipment within 10 business days of your order date. Valid for new subscribers only; offer available until 12/18 or while supplies last.